The Revolutionary new Cold Plasma Clean ExtremeAir CPC, it sanitizes hands and surrounding air! "The air is warm, the technology is cool"
CPC technology kills E. Coli, C. Diff, MRSA, Staph, TB, and more on and around your hands naturally, without chemicals. CPC kills germs on the surface of your hands and the surrounding air while drying them with warm air. Cold Plasma Clean technology was developed by American Dryer’s team of engineers to create the most hygienic method of hand drying ever. Cold Plasma Clean technology goes way beyond HEPA filtration, which simply traps mold and germs inside the dryer. HEPA does not sanitize your hands or kill germs. CPC technology is a solid-state, maintenance-free solution. There are no expensive filters, chemicals or labor. Cold plasma or bipolar ionization is nature’s way of cleaning the air and killing germs. High levels of ionization are found in the fresh air breeze off the ocean or on top of a mountain. CPC technology is natural and safe. The Cold Plasma Generator inside the eXtremeAir® uses steady-state positive and negative discharge points to split water molecules in the air into oppositely charged hydrogen and oxygen ions. These ions in turn break down gases to harmless compounds commonly found in the atmosphere. Air is made up of millions of molecules, including harmful gases, fibers, mold, bacteria, and viruses. CPC technology breaks down harmful pathogens into simple, safe, naturally occurring molecules. CPC technology is proven to kill harmful pathogens including E.Coli, C. Diff, Staph, MRSA, and TB. Testing has been done independently by EMSL Labs, an Elite CDC certified lab. The eXtremeAir with CPC technology has also been independently tested for safety by Underwriters Laboratory (UL), passing both the UL867 and the California Air Resources Board (CARB) standards. Proven cold plasma technology has successfully been used to purify the air in commercial buildings since the 1930s. The prestigious Cleveland Clinic, Baylor College of Medicine and Boston Children’s Hospital use this technology to keep the air clean. More recently, cold plasma has been used in the medical industry to treat surgical incisions and kill bacteria in the food processing industry. 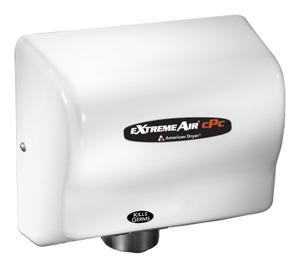 Today, the eXtremeAir cPc hand dryer has advanced this technology to kill the germs on your hands while you dry them. The eXtremeAir can dry up to 1,000 pairs of hands for the cost of one paper towel. 5 Year Premium Warranty Includes same-day factory repair or shipment of replacement parts. Decibel range of 69 to 83. Remember, the motor can be adjusted to bring down the noise levels. This new feature goes a step further and actually tests the data from your electrical wiring and auto-configures itself to run on the appropriate voltage. This makes installation far less expensive and more efficient! Adjustable Sound and Speed: The EXtreme Air is perfect for libraries or stadiums! New Smart Sensor: Ultra energy efficient microprocessor controlled sensor turns dryer on when hands are under the outlet for up to 35 seconds. 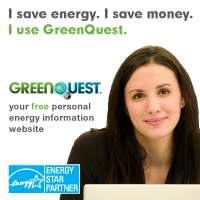 Standby power is only one watt. RoHS compliant lead-free design. New Longer Lasting Motor: New motor lasts up to 25% longer and is quieter. Produces 5/8 HP. Operates between 14,000 to 28,000 RPM. Automatic resetting thermal protector. Vandal Resistant: Two tamper proof screws secure the heavy duty vandal resistant cover to the steel base. Motor and heater are inaccessible to vandals. Air intake is shielded for additional safety. MOUNTING - One side of dryer should be mounted to a stud. All surface mount dryers are provided with conduit entrances for both in-wall and surface wiring. SHIPPING WEIGHT: Depending on cover, these dryers range from 9-12 lbs. Cover – One-piece heavy duty, flame retardant ABS polymer with white finish. Optional one-piece 18 gauge steel cover finished with electrostatically applied, chip-resistant white epoxy finish (M), or chrome plated satin finish (C). Motor – Powerful series commutated through-flow discharge vacuum motor/blower with automatic resetting thermal protector. 5/8 HP, 24,000 RPM. Automatic Sensor – 100% solid state design eliminates relay contact failures. Microprocessor controlled infrared sensor turns dryer on when hands are under the air outlet. Dryer turns off when hands are removed. Override turns off in 80 seconds if hands are not removed. Heating Element – Constructed of NiChrome resistance wire with automatic resetting thermostat. Heating element operates in the black range for maximum life. Heating element is enclosed within blower housing and therefore inaccessible to vandals. Tamper Resistant – Two tamper resistant screws secure cover to steel base. Blower air intake is shielded for additional safety. Dryers should be placed at least 2 feet apart and at least 12” from washbasin. Do not install dryer over washbasin. Automatic dryers should be at least 18” above any projection which may interfere with the operation of the automatic sensor. HAND DRYER INSTALLATION (All ExtremeAir models share the same dimensions and installation.